In these next months of updates we will focues on performance and stability of the entire platform. Don't forget the new messenger.myetv.tv coming soon with a lot of new features. These are the most interesting updates of all times; as MYETV is more than 10 years of activities over the internet the platform must be renewed and we are looking for new things every year. After the first Cumulative updates of 2019, we are now thinking of updates for the coming months. New icons @ at the top of the page of MYETV and new features for registered users; MYRC, Messenger Platform and Friend Networks all together. 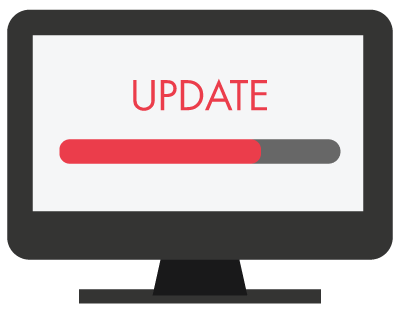 Core updates: this was one of the most hardest updates of 2019; all the images,videos and others contents (as content) uploaded to MYETV will be available only via the same platform and not via HTTP. This means nobody can share a raw “URL” link from our infrastructure, without passing from https://www.myetv.tv, linking any content (like an image) outside the platform will result in an error. Added new presets options in the settings: CAR MODE, MOBILE and LOW CONNECTIONS; these options will setup automatically MYETV for various type of evironments. The feature “public activities” on the right toolbar is deprecated everywhere and no more available for public; as of April 2019 we reserves the right to make it accessible only to developers and moderators. This feature return the date/time and the informations about the latest public views in the platform. From today we are gonna updates the platform and report changes here; major changes will be notified with posts. In the coming months we will make a great work updating all the platform and documents.